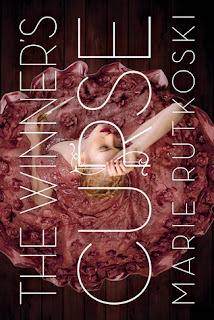 I was lucky enough to be able to get signed copies of The Winner’s Curse trilogy by author Marie Rutkoski and it was with no knowledge of the books or author that I delved into the first book and lost myself in the world of two peoples on the verge of war. Throughout the book we follow Kestrel, daughter of a Valorian general, and Arin, a Herrani slave purchased at an auction and placed to do smith work. Throughout the book the two grow a hidden relationship of admiration and hesitation as reports of black powder and other materials of war go missing in suspicion of being sold to rebel forces. Does Kestrel trust Arin enough for their relationship to progress despite their divided groups or are there secrets that have yet been revealed with Arin to hinder trust and plunge a nation back into a pain stricken war. Kestrel is a female protagonist that I have come to admire throughout the book. Despite her rush to bid immensely for the ownership of a slave her advantage lies in strategy. She in a way reminds me of either Shikamaru from the hit anime series Naruto. Totally random comment but one that I hope someone could connect too. She still has a lot to learn but the capability she has with her mind is one to bring a nation to its knees. Arin on the other side is a man of secrets. There was much to learn about him and his past once learning of his past nad upbringing. We do not get to see most all of his past till the last hundred pages but every now and then we see these different sides of him that intrigued me to want to know him more and more. There is a growing relationship throughout the book between Kestrel and Arin but as we can assume with them from different upbringings, it is a forbidden one. I am hoping that this does not turn into a retelling of Romeo and Juliet with a twist. But I guess the only way to know if to continue reading. I loved the fast pace the story brought and the build-up of the characters and the end note leaving those with a curious mind only wanting more. I have to admit that I am one of those intrigued to find out what is to come of both Kestrel and Arin. Will there be peace between the two groups? Will it all be determined by bloodshed and death? The Winner’s Curse gives the reader a taste of how too much confidence can be their downfall. 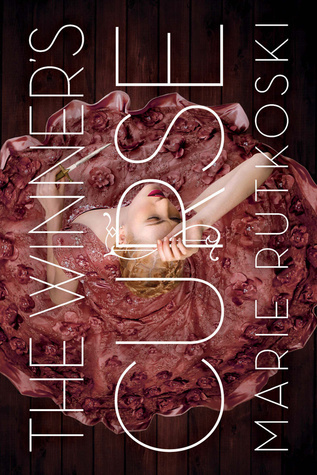 Read The Winner’s Curse and find yourself on the winning side.